I’ve been wanting to draw a Parachute Adams for the whole Airborne theme I’ve got going on. Surprise right? But trying to get the photo for inspiration using an iPhone to shoot the picture was almost challenging. Shifting auto focus nearly got the best of me. Almost. After a few shots and the steadiness of hand required to lay down and arm a trip wired claymore land mine, I got the shot I wanted. Or at least a shot could deal with anyways. As tough-guy as that may sound with explosives and all, the irony is the song that was playing in my head. 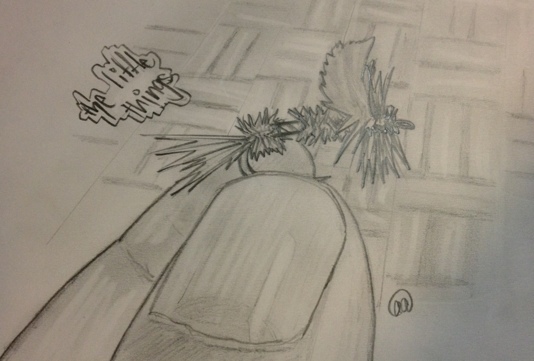 As I was drawing this small fly instead of U2’s, “The Sweetest Things”, the cadence remix in my head ringing over and over was ‘its the little things’. All in the same tone. I know you can hear the chorus. Real macho right? Anyways, sometimes it is the little things in life we take for granted. 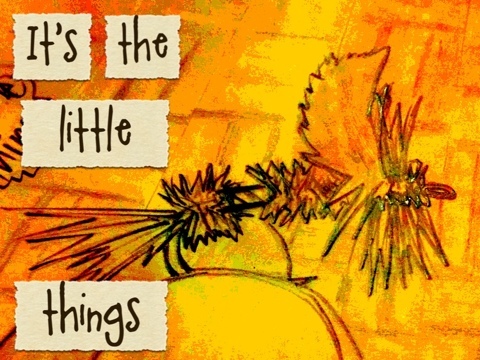 The smallest things can bring us such great joy. 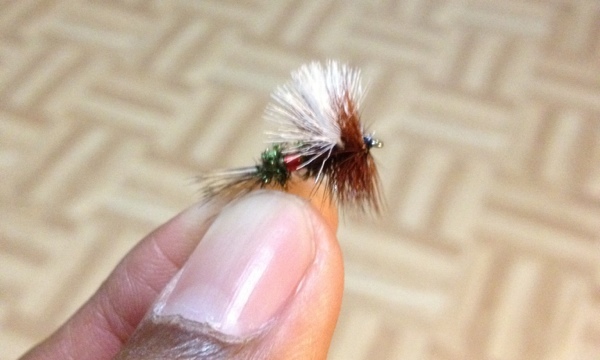 Just like a size 18 (I’m totally guessing because it’s not the size 6-10 streamers I throw a lot of) Parachute Adams can bring in a good sized trout. Who’d’ve thunk right? And that my friends is the sweetest thing. Don’t judge. Ooh oh oh the sweetest things.